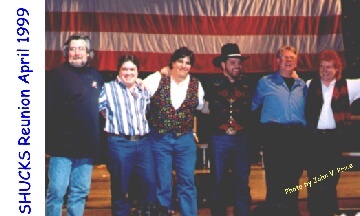 This page is dedicated to SHUCKS, a Pennsylvania based country music band that roamed the fairs and festivals for about 10 years. 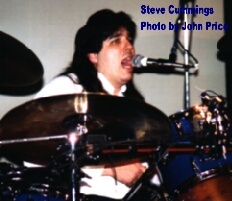 The creation of this page was due in part to a contact with drummer, Steve Cummings and in part because of a comment made by Sandi Price, the SHUCKS fan club president. She commented how "neat it would have been for the SHUCKS Fan Club to have had internet capability." Well, why not? When the Younger Brothers Band and The Cramer Brothers Band met at Ski Sawmill, few knew that the music of the forthcoming band would touch the hearts of fans throughout the state and beyond. The group of talented musicians who made up the band SHUCKS are still affecting the face of country music in Pennsylvania today. They are performing or working with country music in one form or another. When the Younger Brothers Band and The Cramer Brothers Band met at Ski Sawmill, few knew that the music of the forthcoming band would touch the hearts of fans throughout the state and beyond. "Alive and Kickin'" was an album taken from two of their live shows and released on a cassette. It was made available to fans at their shows. Then in 1990, the band released their first CD of original music, "I Love to Dance" and recorded a video for the title cut. "On the Right Track", their final recording was released in 1992. It included "Highway" which reached #1 on the Independent Charts. (See the Album Collection below). 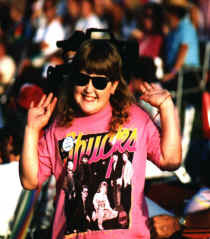 The original members of SHUCKS performed together for 8 years before the pressures of differing career goals would pull them in separate directions. 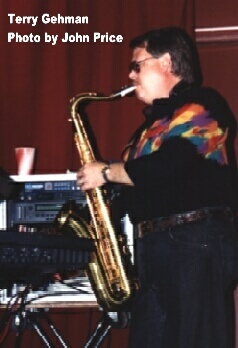 Terry Gehman was often called the "Father of the Band", Terry was truly the leader. He brought a wide variety to the music with his keyboards, saxophone, harmonica and on occasion, banjo. Terry can be serious but most fans remember his performing such comic greats as "The Streak", "Hello Margaret" and "Gotta Get Up Every Morning (Just to Say Goodnight to You)". Terry, a retired music teacher, continues to be active in country music. Through Anjoli Productions, a company he has owned for many years, he brings local musicians and Nashville talents to many of the fairs and festivals of PA.
Doc Randolf was the lead singer and rhythm guitar player; Doc's voice has that distinctive sound that set the band apart. Doc was also the first member of SHUCKS to leave. Making the move to Nashville is anything but easy. Doc found that the going is rough and you have to be willing to work. 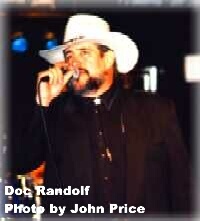 Doc left the band and went to Nashville working as a doorman, waiter, and a number of odd jobs. He can be seen as an extra in one of Vince Gill's videos. He sang at the Stockyards for a couple of years, performed on the General Jackson, sang back-up vocals for Davis Daniel. As we all know, Doc can really perform those Kenny Rogers songs which led to him playing the part of Kenny Rogers in a stage show in Nashville and throughout the country. Visit Doc's website at http://www.docaskenny.com. Ray Cramer is an excellent singer and is getting better every day. His is now lead singer and lead guitar player for the Cramer Brothers Band and has developed a real stage presence. The band took awhile to get started, but with the addition of a couple of solid performers they are coming up. The recording of a 1996 outdoor concert became their first CD, "Heros". It was released in mid 1997. A second CD, has been released in 2007 containing some of their favorite classic country songs. 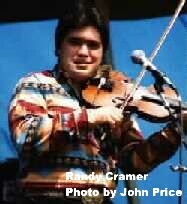 Randy Cramer, as always, is a champion fiddler. He is one of the highlights of the Cramer Brothers Band and also isn't afraid to perform with other musicians. 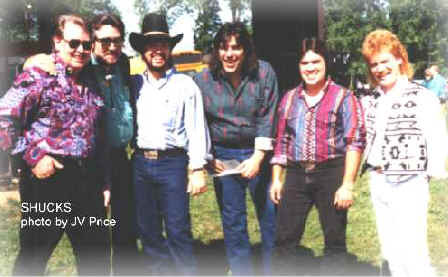 Randy was called to play (spur of the moment) for Ray Price's band, he fills in whenever possible with Joe Bonson & Coffee Run and has his name on the album covers of several PA based-bands. Randy is also teaching the next generation of Cramers who con be seen performing along with Dad and Uncle Ray Cramer. Allen Roth left the performing stage for a while when SHUCKS disbanded. He is a full time middle school band director has helped Terry on occasion at Anjoli Productions and has been performing with a variety of musicians including the Cramer Brothers, Chris Woodward, a country musician from Central PA, and in 2007 he rejoined the Cramer Brothers Band for their summer shows. Steve Cummings, drummer extraordinaire, is also in Nashville. Although you won't see him front and center, he is considered very successful. He performed for several years at Barbara's, a club on Printer's Alley, has played drums for Grand Ole Opry star, Johnny Russell and is a Nashville based musician. Steve explained that there are two types of musicians in Nashville. Those who prefer to tour and those who stay at home. Steve is one of the latter and aside from his ability on the skins, his pasta is superb! Denny Jackson: Denny played keyboard for SHUCKS when Terry decided to retire from performing. Denny stayed with the band until it broke up. Neil Brown: Neil, a drummer for SHUCKS performed with the group after Steve Cummings left and for a short time with the Cramers Brothers Band. Darryl Lee O'Donnell is a Juniata County, PA native who moved to Nashville. He has written quite a bit of his own material and took some on the road a few years back. Darryl joined SHUCKS, as lead singer. Lonnie Gibson: Lonnie spent one year with SHUCKS sharing the lead with Ray. It was a huge family reunion for over 1000 fans, friends and family of the members of SHUCKS - a band that had not performed together for almost 6 years. The shows were held at the Clarion Hotel, Carlisle, PA, Ramblers Ranch, Jim Thorpe, PA and the American Music Theatre, Lancaster, PA on April 16, 17, and 18, 1999. SHUCKS had no peer in the mid-80s among country music. states Harrisburg Patriot News Bob Ross in his April 11 article. CAT Country Radios music director, Dandelion, referred to them as PAs Premier Country Band in Central PA for many years as she narrated a pre-show video of photos, video clips and music from the bands 8 years of performances, road trips and 3 albums. As the video faded, Dandelion introduced the band, Terry Gehman began playing and Doc Randolf singing the Tennessee Waltz. And, as the rest of the band took the stage, they stepped up the tempo - they received a standing ovation! The band performed 32 of their favorite songs - over two hours of non-stop entertainment. Although, Doc Randolf sang the lead for most songs, everyone in the band took their turn at singing. 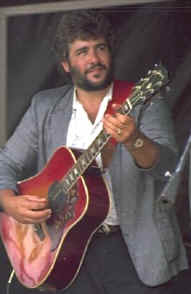 Allen Roth sang the George Strait tune Ace in the Hole which features Terry Gehman on sax. Terry sings, too - his students would not recognized the usually very professional Mr. Gehman performing his rendition of Ray Stevens The Streak and Hello Margaret. 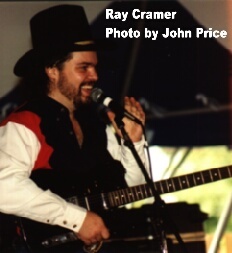 A huge fan of Merle Haggard, Ray Cramer can sing nearly every song in the Hags repertoire- he performed Honky Tonk Nighttime Man and Ramblin Fever. Even drummer, Steve Cummings and fiddler, Randy Cramer took the lead - Steve singing Above and Beyond and Randy leading Heartland. Other highlights included their performances of Baton Rouge, the Kenny Rogers classic, Lady and crowd favorites Orange Blossom Special and "The Devil Went Down to Georgia". The show ended as SHUCKS shows had ended in the past - with the crowd standing holding hands and singing God Bless the USA. There were lots of smiles and tears as the final show ended and everyone came to the realization that it was over - again. The number one question on everyones mind - is this the final performance for SHUCKS or is it a new beginning? * Millie Ney - listed above has gone on ahead to make way for the rest of us. She followed the boys careers long after SHUCKS went their separate ways. We often saw her at the Winner's Circle Saloon, Grantville, where she liked to see some good country music and great dancers. She will be missed. @ 2003 by John V. Price All rights reserved.